The British Association for Adoption and Fostering has called for more to be done to support families after they have gone through the adoption process. The charity says further assistance would reduce the rate of adoptions that break down, which currently stands at one in five. There were 4,734 adoptions in England and Wales in 2011, according to the Office of National statistics (ONS). "The number of children in the English care system is at an all-time high - and today's statistics, released by the Department for Education (DfE), flag that this number is continuing to rise year-on-year. "While it is encouraging to see that more adoption and fostering matches have taken place in 2012 than in previous years, this welcome news is off-set by the increasing breakdown of placements which only serve to cause further disruption for children who have already encountered so much in their young lives. "We support an adoption system that focuses on achieving the best outcomes for children, which means finding a stable and secure home for the long-term. "As adoption and fostering specialists, we know that follow-up support is crucial to the success of these placements. Efforts must now be focused on achieving a system that enables agencies to provide the necessary level of quality support to meet individual children's needs, even if this means greater costs in the short term." The rise in the number of adoptions and adoption placement orders is extremely welcome, but it still takes too long for those who want to adopt and foster to be approved. The time it takes for a child in care to be adopted can be a significant period in that child’s life. I know from my own family that parents who adopt and foster bring stability to young lives. That is why we are overhauling adoption, but I know that our reforms will take time to make a full impact. So we are looking at measures to encourage councils to make use of adopters in other parts of the country. We will shorten the approval process and fast track those who are already foster carers. Taken together I hope these reforms will, over time, encourage more people to come forward and volunteer to adopt children. I want more young children to have a settled start in life with a loving family. That way, they can make a profound and lasting impact on young lives. I've linked these pieces of news together because I feel that they all impact on each other. They are almost chicken and egg. There is a breakdown in adoptions largely due to the issues faced by children and their adopted parents and the lack of post adoption support available. I have heard from many adopters over the past few years who have had to fight to get support for their children's needs. Needs and difficulties which usually stem directly from the reasons why the child needed to be adopted. Issues that could be pre-empted. The length of time it takes to address and resolve an issue can lead to greater issues in the future. It's interesting to hear that a court recommendation for support does not necessarily ensure that support is in place post-adoption. Resources around the country are stretched to breaking point. Not just for adopters either. Parents seeking to access support from CAMHS teams often find they have lengthy waits before their child can be assessed and get support. The delays make the situation worse because parents are left trying to work out a solution for themselves. For many adopted children many of the mainstream parenting techniques have to be carefully thought through because of the impact on already damaged and fragile self-esteems. For some children sitting on time-out can bring a sense of shame and failure. I'm hearing a significant amount of adopters say that their children are struggling to understand the learning behind techniques such as "time-out". This has not been my experience because Katie does not have these issues with her attachments but it seems to be widely recognised amongst adopters that adopted children are often emotionally behind their peers so techniques that might work on the average 4 year old may not be helpful for an adopted child. It's very much hit and miss. This is where more support needs to be given to adopters. We are left to work this out amongst ourselves. Maybe we don't all actually ask for support enough either. We probably wait until a situation has become almost untenable. Thank heavens for the internet for that I say!! Yes, we're approved to be adopters but we're not given a tool bag of special parenting techniques to use. We stumble along the same way most parents do. But our children aren't most children. They have underlying emotions that the average child does not have to carry with them. I recently became aware of this when Katie left pre-school. She has really struggled with the loss of that routine and her stability of the friends and teachers she had there. Her behaviour regressed and she started wetting herself again. I realised that leaving pre-school to start big school was probably raising all sorts of emotions that stem from her leaving Grandma and moving to live with us. Issues she maybe wasn't able to acknowledge at the time. I've noticed that she is more anxious again about when I will die and leave her. It's heartbreaking to see a small child carry those feelings around with them and to attempt to reassure them. I welcome the fact that these issues are being raised this week in the media and hope that the government is paying more than lip-service to its consultation on the proposals for reforms in adoption and fostering. 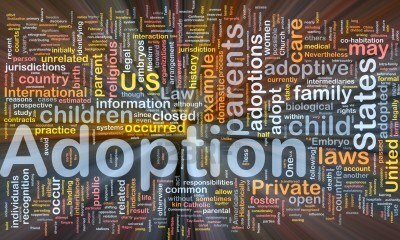 (see link here http://www.our-adoption-story.blogspot.co.uk/2012/09/consultation-on-adoption-and-fostering.html). It's interesting timing to have both issues raised simultaenously in the news and I'm not sure if Edward Timpson's statement could be overshadowed by the post-adopion issue. It certainly gives pause for thought about the timing of the statement. Regular readers will know that I recently wrote an open letter to David Cameron regarding the adoption system (click here for link http://www.our-adoption-story.blogspot.co.uk/2012/09/dear-mr-cameron.html). I hope my comments in that letter will be taken onboard and I know they are thoughts that others share. I will be writing my comments on the Governments proposals once I've read and inwardly digested fully the contents of the proposal.